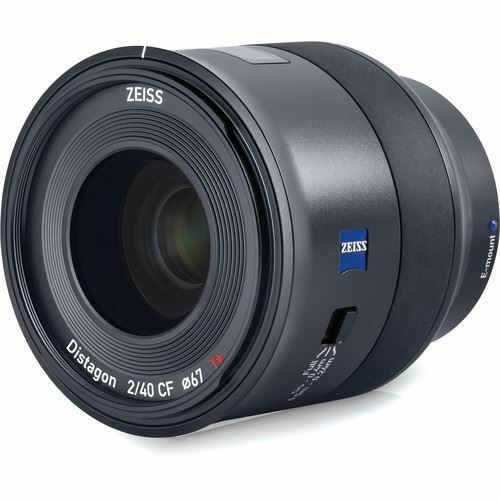 Offering a unique short-normal focal length with a close-focusing design, the Batis 40mm f/2 CF from ZEISSis a Sony E-mount prime further characterized by its advanced optical layout. 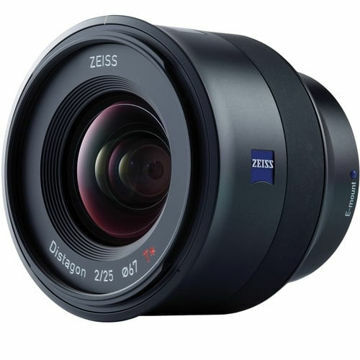 Based on the Distagon design, this lens uses a series of aspherical and anomalous partial dispersion elements to greatly reduce color fringing, distortion, and other aberrations to realize sharp, clear, and color-accurate imagery. A floating elements system, coupled with the Close Focusing designation, is also employed for consistent performance when working with both near and far subjects. Additionally, an enhanced ZEISS T* anti-reflective coating has been applied to reduce flare and ghosting for working in difficult lighting conditions. 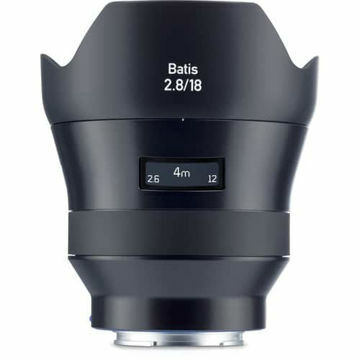 Batis-series lenses are distinguished by their innovative use of an OLED display on the lens barrel, which highlights the focus distance and depth of field range for quickly recognizing your focusing parameters. 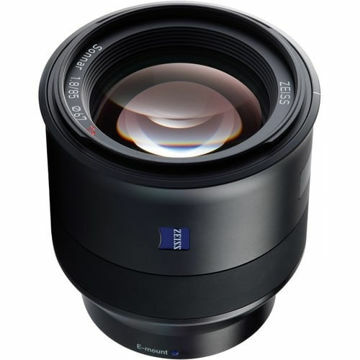 As an autofocus lens, linear motors are used to deliver quick, quiet, and smooth focusing performance to suit both stills and video applications. 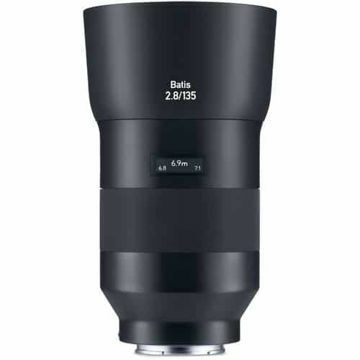 Additionally, the lens body also sports a dust- and moisture-sealed design to permit its use in trying environments. Suitable for close-up shooting, this CF (Close Focusing) lens has a minimum focusing distance of 9.4", minimum working distance of 5.5", and a maximum magnification of 1:3.3. Two aspherical elements, three elements made from anomalous partial dispersion glass, and one aspherical element also made from low dispersion glass are featured, and all contribute to significantly reducing chromatic and spherical aberrations, color fringing, and distortion for improved clarity, sharpness, and resolution. Floating elements system helps to maintain consistent image quality throughout the entire focusing range. Integrated OLED display on the top of the lens shows the working focus distance as well as the depth of field range for quickly recognizing the parameters of focus in use, even when working in low-light conditions. Box Dimensions (LxWxH) 10.0 x 5.4 x 4.7"